Geneva, 28 July 2016: Many populations of African elephants continued to face serious threats to their survival in 2015 from the illegal trade in ivory and unacceptably high levels of poaching. Two new reports to be presented to the 17th meeting of the Conference of the Parties to the Convention on International Trade in Endangered Species of Wild Fauna and Flora (CITES CoP17) in September show that elephants are particularly vulnerable in Central and West Africa, where high levels of illegal killing continue. Two CITES monitoring programmes - the Elephant Trade Information System (ETIS) and Monitoring the Illegal Killing of Elephants (MIKE) - indicate that the sharp upward trends in poaching, which started in 2006, have started to level off with continental levels of illegal killing of elephants stabilizing or slightly decreasing. However, the levels of poaching remain far too high to allow elephant populations to recover, with some populations facing risk of local extinction. Southern Africa continues to stand out as the sub-region where overall poaching rates have remained consistently lowest in the period 2006-2015, which was marked by a surge in poaching across Africa. “The momentum generated over the past five years is translating into deeper and stronger efforts to fight poaching and illicit trafficking on the front-lines, where it is needed most – from the rangers in the field, to police and customs at ports of entry and exit and across illicit markets. Governments must continue to strengthen their efforts right across the illegal ivory supply chain, while international bodies and civil society must further enhance their much-needed support if we are to reverse the devastating poaching trends of the past decade,” said CITES Secretary-General, Mr John E. Scanlon. "There are some encouraging signs, including arresting the overall upward trends in poaching, the decline in poaching trends in some sites in East Africa and the overall trends in Southern Africa. This shows what is possible through a sustained and collective effort with strong political support, but much more remains to be done,” added Scanlon. The ETIS report submitted to the CITES CoP17 shows that in 2012 and 2013, levels of illegal ivory trade reached their highest levels since CITES agreed to ban the commercial trade in (raw) ivory in 1989. The results for 2014, the most recent year with sufficient seizure data available for analysis, suggests that illicit trade in ivory began to level off at that point, and this mostly for transactions that are described as being in the small worked ivory weight class. 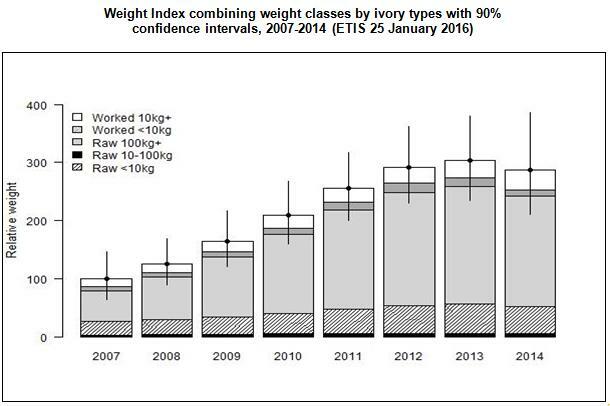 Additional data in subsequent years is required to confirm a meaningful decline in the illicit ivory trade. 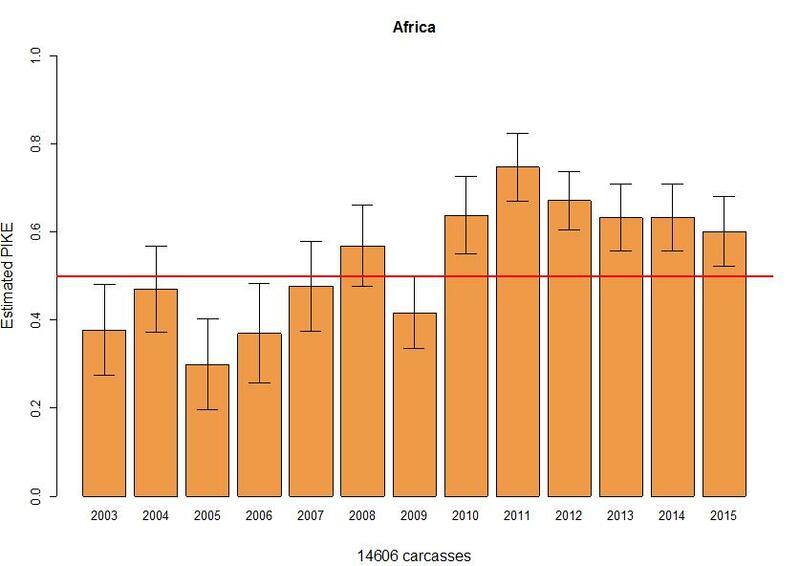 The MIKE figures show that the steady increase in levels of illegal killing of elephants since 2006, which peaked in 2011, has been halted and stabilized but that levels remain unacceptably high overall. It is estimated that the number of elephants illegally killed annually in Africa between 2010 and 2015 ran into the tens of thousands. Although overall trends are moving in the right direction, elephant poaching in 2015 remains a cause for serious concern. The figures show that Southern Africa is the only sub-region that has not seen illegal killings exceed natural deaths since MIKE monitoring began in the early 2000s. However, poaching levels remain high in some Southern African sites, such as Niassa Reserve in Mozambique, and a troubling recent spike in elephant poaching was observed for the first time in South Africa’s Kruger National Park. The elephant population in Kruger is not in decline, but the situation could change if current trends continue. Positive news comes from East Africa, where estimated poaching levels declined in 2015 for the fourth consecutive year. The situation in East Africa in 2015 was comparable to poaching levels recorded there in 2008. Yet the situation is also mixed, with increases in poaching evident in parts of the United Republic of Tanzania, and lower levels of poaching recorded in Kenya. The most serious levels of poaching were again recorded in Central and West Africa, where illegal killings continue to far exceed natural deaths. 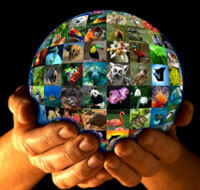 With financial support from the European Union, the CITES MIKE Programme has continued to build upon and expand the data and information base that supports the protection of elephants, striving to ensure that information is relevant and used to inform management on site and at national, sub-regional and global levels. 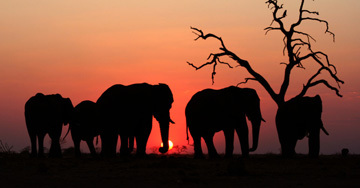 It is hoped that the Law Enforcement Capacity Assessments recently developed by the MIKE Programme will result in a better understanding of law enforcement capacity challenges faced by those charged with the protection of elephants across their range, and that this will assist in better focused capacity-building efforts. Better use of controlled deliveries (which involves tracking contraband to its destination rather than seizing it at the border) as a means to penetrate deeper into the identities of large-scale criminal operatives.